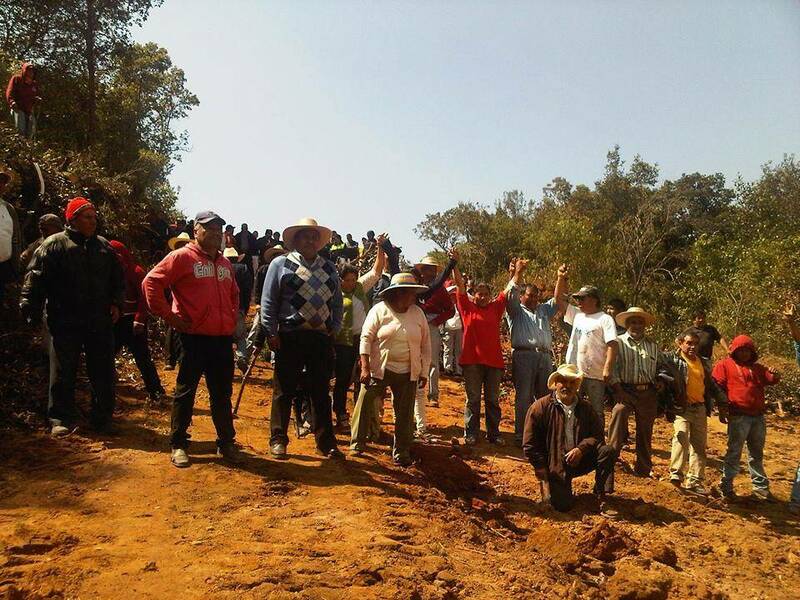 Compañeros and compañeras, we express our solidarity with the indigenous Otomí community of San Francisco Xochicuautla, municipality of Lerma in the State of Mexico, which is fighting in defence of Mother Earth threatened by the bad government of Enrique Peña Nieto, where a few days ago a decree was published for the expropriation of 37 hectares of land to build a highway in the State of Mexico for the benefit of their friend the businessman Cantu Hinojosa, regardless of the destruction of mother nature, the trees, the water, and the sacred sites of our compañeros and compañeras. We want to say to the community of San Francisco Xochicuautla that you are not alone, compañeros and compañeras, because we are watching your struggle, it makes us angry that the bloody government wants to take away their land with violence and repression, for they also wants to take away our land of San Sebastián Bachajón. 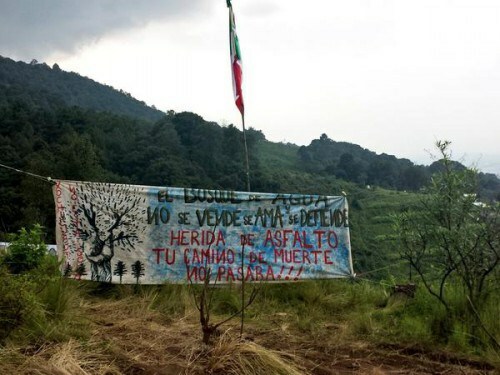 We ask the compañeros and compañeras of Mexico and the world that in their times and ways they raise their voices for San Francisco Xochicuautla in these important moments in the struggle for the defence of their territories and sacred sites. We demand the liberation of our prisoners in Yajalón JUAN ANTONIO GOMEZ SILVANO, MARIO AGUILAR SILVANO and ROBERTO GOMEZ HERNANDEZ; prisoners in Playas de Catazajá SANTIAGO MORENO PERES, EMILIO JIMENES GOMEZ; prisoner in Amate ESTEBAN GOMEZ JIMENEZ. From the northern zone of the state of Chiapas, Mexico, we send an embrace and combative greetings from the women and men of San Sebastián Bachajón. Juan Vázquez Guzmán Lives, the Bachajón struggle continues! Juan Carlos Gómez Silvano Lives, the Bachajón struggle continues! NO dispossession of indigenous territories! Immediate presentation of the disappeared compañeros from Ayotzinapa! Long live the dignified struggle of our Chol compañeros y compañeras from the ejido Tila! JUSTICE FOR AYOTZINAPA, ACTEAL, ABC, ATENCO!